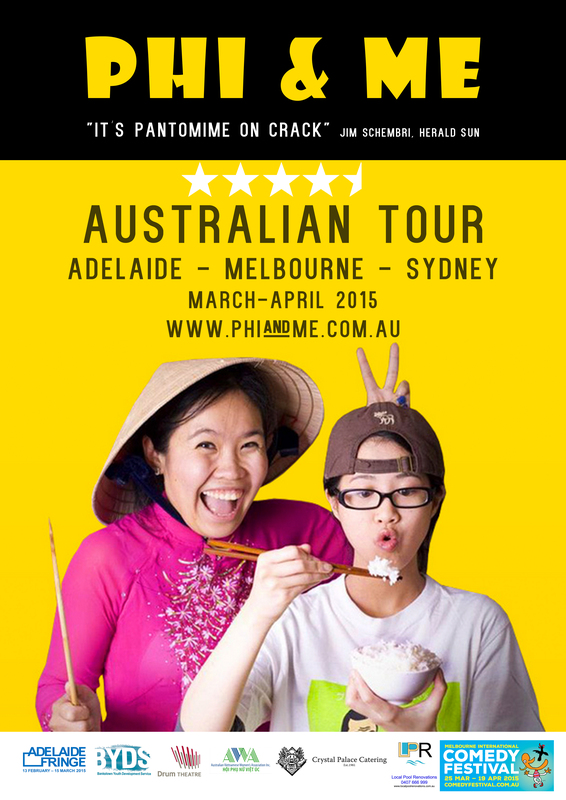 This year marks the 40th Anniversary of the Vietnam War ending, and for the past 5 years, Phi and Me, an Australian Vietnamese family comedy show, will embark on an Australian Tour: Adelaide, Melbourne and Sydney to share this story to the wider community. Phi is a teenager growing up with his refugee Vietnamese mother, and celebrates the struggles and triumphs of growing up in Australia. The story is based on our experiences growing up with our own refugee Vietnamese mothers. We are only performing 5 Melbourne International Comedy Festival shows, and finishing our Tour in Dandenong (500 seater). FULL INFORMATION AT PHI and ME website.